Timeless basic tiles with unparalleled and vivacious color gradations. Terra is a strong classic tile in pure ceramic. Well-known for its matt, powder-like look and flamed dessin. The tile can be used on floors and walls, indoors and outdoors. Terra comprises the series: Terra Beige & Brown, Terra Greys, Terra Maestricht, and Terra Tones. Thanks to the diversity in hues and dessins, each series creates its own look and feel. Terra Beige & Brown comprises neutral grey brown, brown, and red brown hues. The tiles are slightly greyed and have a subtle color saturation. This series is characterized by the matt, powder-like finish: warm, yet contemporary. The hues transition from light to dark in four gradual steps. The combination of light and dark hues, with the option of using a variety of formats, creates a lively interplay of lines on tiled floors and walls. Terra Greys comprises tiles in warm and cool grey tones: basic colors with subtle nuances in the dessin that create a sleek, industrial look. The shades gradually merge into each other, from light to dark. A combination of light and/or dark grey tones in a variety of formats creates rhythm and structure in walls and floors. The color gradations in Terra Greys are minimal, so a wall in a single color tone has a uniform look. Terra Maestricht represents bold earthy hues with strikingly vivacious color gradations. The flamed dessin and the powder-like structure are characteristic of pure ceramic. No two Terra Maestricht tiles look exactly alike. 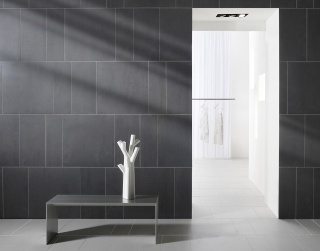 Every tile has its own subtle color differences, as is the case in nature. These tiles owe these gradations to the natural striations of ceramic granulate. The combination of different color mixes ensures a vivacious character and creates optical depth in walls and floors. 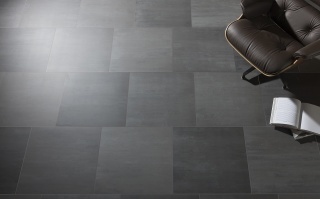 Terra Tones is built around four basic tiles in the colors grey green, mid grey, anthracite, and cool black. Every basic tile has a lighter and darker variant; together they form a dynamic set. 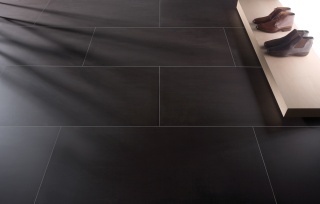 The combination of three tones results in tiled surfaces that create optical depth. A pattern with various formats reinforces the dynamic and natural look of walls and floors. 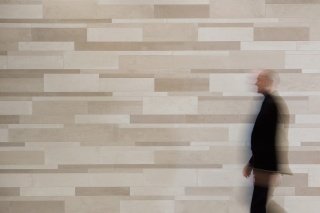 As a source of inspiration, Mosa developed tiling patterns to optimize the Terra Tones effect.